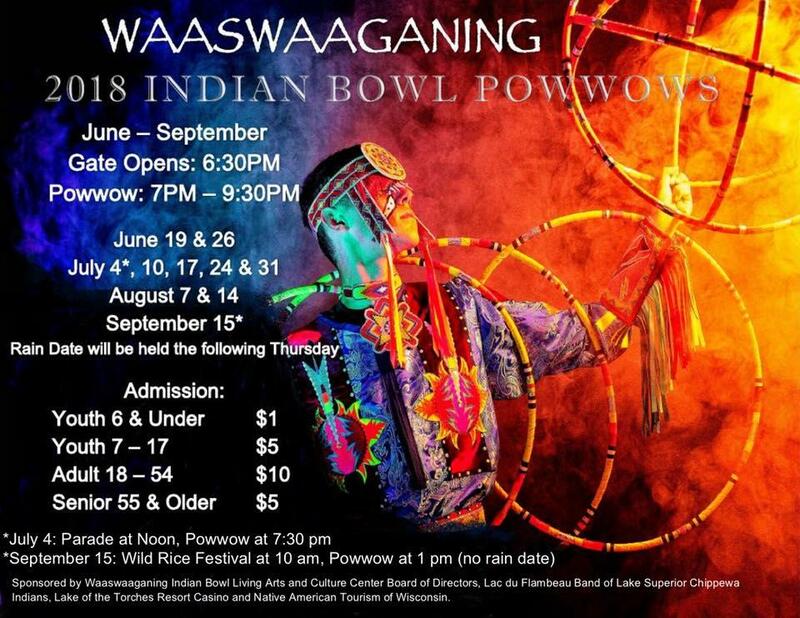 The newly renovated Waaswaaganing Indian Bowl in Lac du Flambeau recently began its summertime tradition of hosting weekly powwows. These powwows are usually held on Tuesday evenings. The only exception from now through August is the powwow this week, which will be held on Wednesday, July 4th. Tribal member Melissa Doud says the 4th of July is one of Lac du Flambeau’s biggest tourism days. There will be a parade at noon and the powwow will start at 7:30 p.m.
"We're really excited because this is the finishing of our brand new Indian Bowl that has been revitalized," she says. "They have torn down the old facility that was standing there. It was outdated. We invite people to come in and see what we've accomplished. We're bringing back that magic that we once had years ago. The powwows are open to the public and family friendly. "One of the things that I love about the Indian Bowl is that I hear stories from tourists that come from Chicago, all over the country," she says. "And they say their dad used to bring them there as a kid. Or their grandfather used to bring them there and now they're bringing their children. So it's not just us sharing our tradition, but it's them sharing their tradition as well."